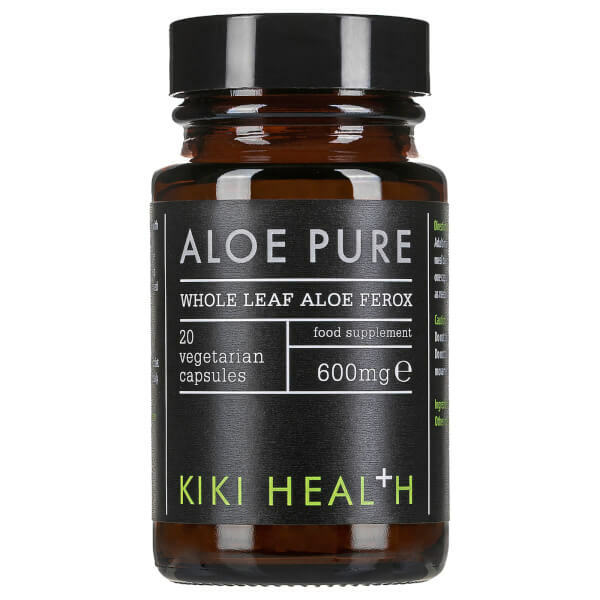 KIKI Health Aloe Pure Tablets are a vegan-friendly food supplement containing pure freeze-dried whole leaf Aloe that's grown hydroponically with water. Freeze-drying the Aloe ensures active enzymes remain intact; the enzymes assist the body in breaking down and dissolving foods for a healthy digestive system. 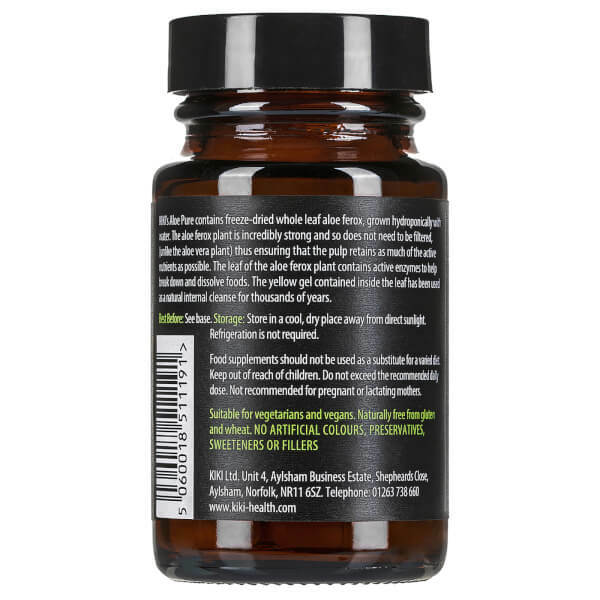 The yellow gel found inside the only pure Aloe Vera Whole Leaf has been used for thousands of years, and is known to harness healing properties. 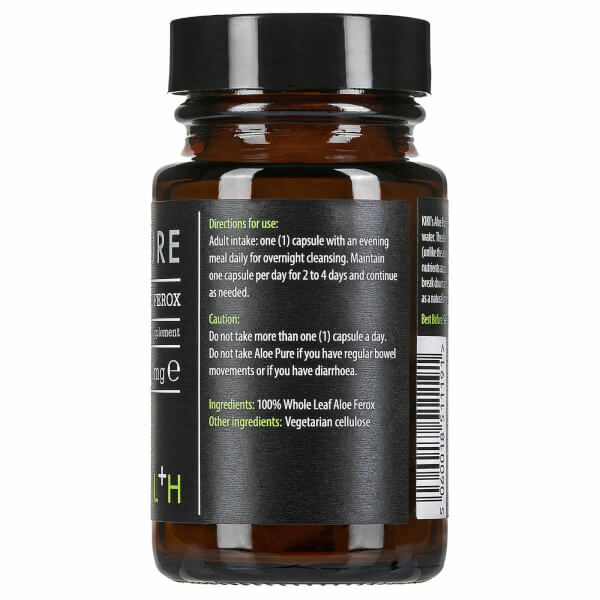 Adults intake: one capsule with an evening meal daily for 2 to 4 days, then use as needed. Do not take more than one capsule a day. 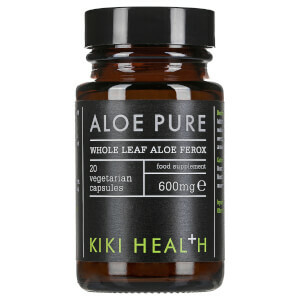 Caution: Do not use Aloe PURE if you have regular bowel movements or if you have diarrhea. Food supplements should not be used as a substitute for a varied diet. Keep out of reach of children. Do not exceed the recommended daily dose. Not recommended for pregnant or lactating mothers. 100% Aloe Vera Whole Leaf.